From Mayon Volcano with its near perfect cone to white, golden and black sand beaches, waterfalls and caves, Spanish period churches and ancestral houses, Albay is home to scenic spots and majestic structures. The province is a complete destination for travellers who are after leisure, adventure, and new experiences. With all that Albay has to offer guests and tourists, the Provincial Government under the leadership of Gov. Joey Sarte Salceda and Vice Gov. Harold Ong Imperial has made tourism one of its priority programs. A view of Mayon Volcano from Our Lady of the Gate Parish Church in Daraga. 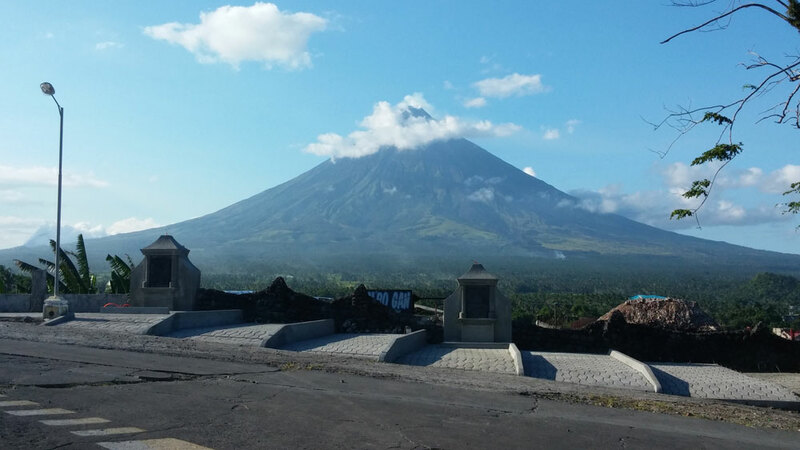 Albay attractions, whether natural or built wonders, are easily accessible by private or public transport. Baguio City’s cool climate and wide vistas make it popular with local and foreign visitors, especially during days when the temperature in low lying areas climb up to over 30 degrees C…. Baguio City’s cool climate and wide vistas make it popular with local and foreign visitors, especially during days when the temperature in low lying areas climb up to over 30 degrees C.
In hot, tropical Philippines, the city’s cooler than average temperature is a novelty and earned it the title of “summer capital” begining in 1903. Baguio, which lies on a plateau 5,000 feet above sea level , is also blessed with sweeping views of the Cordillera mountain range in northern Luzon. 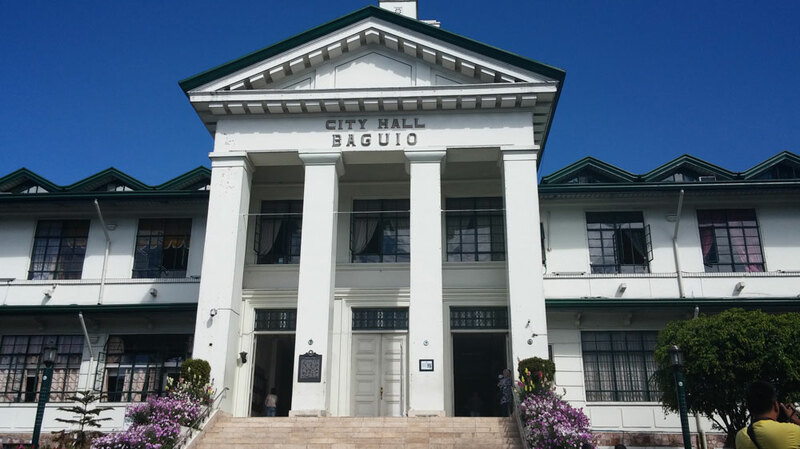 Constructed in 1949-1950, the Baguio City Hall replaced a previous structure built in 1910 during the term of E.W. Reynolds, first city mayor. It was destroyed during World War II in 1945. A mountainous terrain provides Baguio with natural tourist attractions like forests and watersheds as well as scenic mountain ranges. 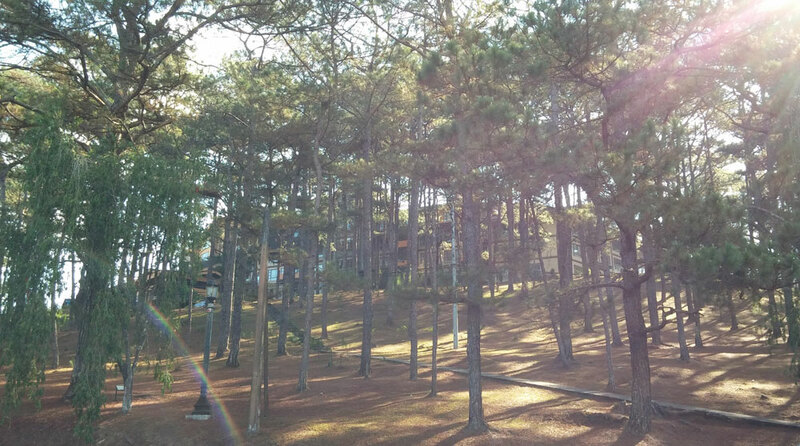 One thing closely associated with Baguio is the Pinus Insularis (Benguet Pine), and the abundance of these trees in the area earned it the “City of Pines” label. Baguio is part of the Province of Benguet. From its beginnings as a vast grassland, a grazing area for hundreds of herds of cattle, Baguio has transformed into an urban center with a technology hub, high-end hotels, and retail facilities for top imported and local brands. Aside from the summer capital, Baguio is also called the “City of Pines” due to the abundance of these trees in the area. In Spanish records, the very first mention of Baguio identify it as one of 31 rancherias, a minor rancheria of 20 houses, established by Spanish Commandante Guillermo D. Galvey in the late 19th century. Baguio was a minor rancheria of the Commandancia put up by Galvey in a valley in Benguet in 1864. He named it La Trinidad after his wife, Trinidad de Galvey, Baguio City records showed. The city’s early name was Kafagway and this later became Baguio, from the native word “Bag-iw” meaning moss. When the Americans took over from the Spaniards, they established the first provincial government in Benguet and appointed a Canadian journalist, Hubert Phelps Whitmarsh, as governor. In Baguio, among the very first things one notices are the foreign names, American in particular, of parks, streets, and other sites. Other memorabilias of that era include American colonial buildings and 50’s-themed diners within the city center. 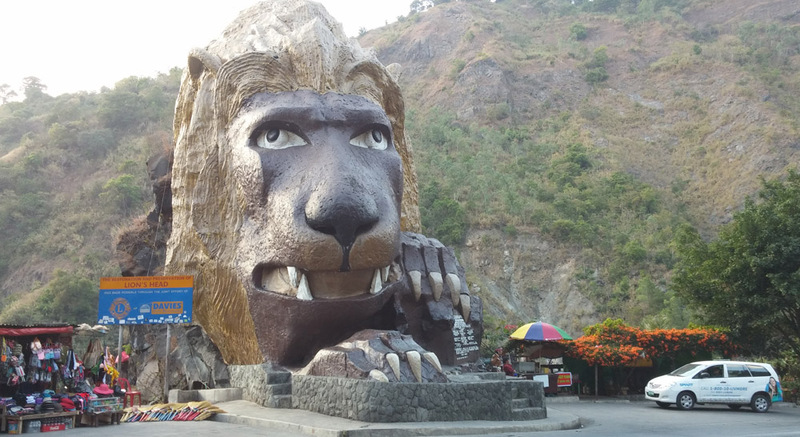 You know you’re near Baguio City when you pass by the Lion’s Head along Kennon Road. This monument is sculpted from natural rock formation, according to a marker put up by the Lion’s Club of Baguio. This is because the Americans, when they first took possession of the Philippines after the Spanish-American war, put a premium on Baguio’s development because of its refreshing climate. It was a renowned American architect, Daniel H. Burnham, who prepared the urban design for Baguio in the early 1900s, said its City Tourism Office. Burnham was tasked to create an urban plan for the city by William Cameron Forbes, who was appointed to the Philippine Commission in 1904. This plan was presented to then Secretary of War William Howard Taft who immediately approved it. Baguio was declared the country’s “Summer Capital” on June 1, 1903 by the Philippine Commission. The declaration allowed the Americans to set aside funds for the construction of basic infrastructure in the city and undertake improvements to the Benguet Road. The road, renamed Kennon Road after the engineer (Col. Lyman W. Kennon) who was instrumental in its completion, was started in 1901 and completed in 1905. With the Philippine Commission further adopting Act 1963 in 1909 that transformed it into a chartered city, Baguio by 1913 had the amenities of a typical 20th century American city. After it was reduced to rubble during World War II, there was tremendous effort to rebuild the city based on the Burnham plan. This was laid to waste during the killer earthquake of 1990. Baguio’s spirit of community allowed it to reclaim its position as the country’s summer capital and position itself as the tourism mecca of the north. As an urban center and the only city in the Cordillera, Baguio has also become the gateway to the Cordilleras and other wonders in Northern Luzon. The city’s population is pegged at 318,676 based on the 2010 census. It has a very high literacy rate of 98 percent, according to the tourism office. Baguio’s socio-cultural scene is enriched by a variety of ethno-linguistic groups that include the Ibalois, considered the original settlers, together with other Cordilleran groups such as the Bontocs, Kalingas, Ifugaos, and Kankanais and together they comprise about 10 percent of the population. Tourism continues to flourish in the city, which now hosts state of the art telecommunication facilities, a wide range of accommodation types, and various transport services including air travel, bus lines, and other public utility vehicles. If you ever find yourself looking for a place to stay in historic Dapitan City, check out the Travelbee Heritage Inn. 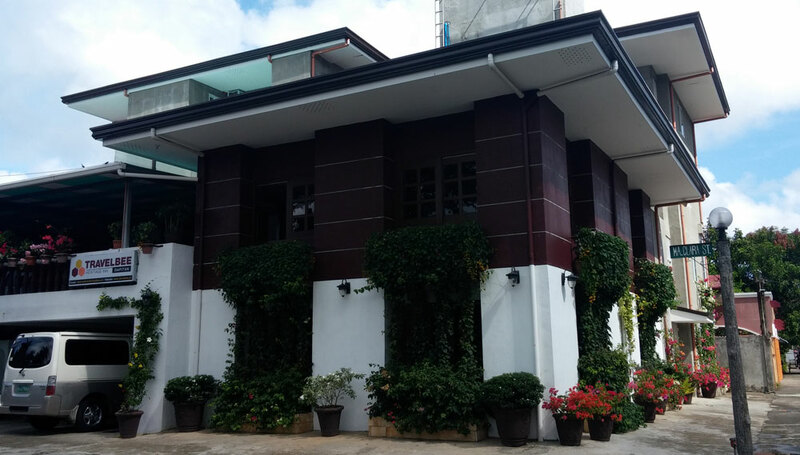 Travelbee Dapitan is located on the corner of Maria Clara and Mi Retiro streets, names taken from national hero Jose Rizal’s literary works in tribute to his life in exile in the city, and built upon what was once the ancestral home of the Sagario clan. The inn is affordable with clean and comfortable rooms and only 15 minutes from the airport in the neighboring city of Dipolog. 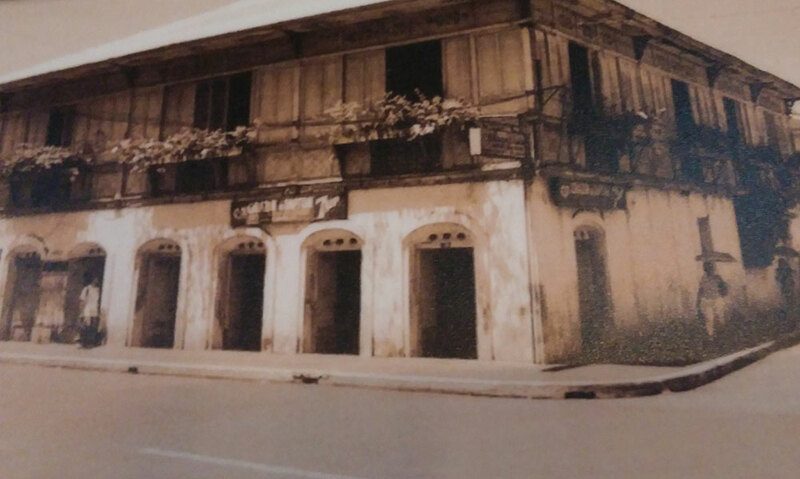 An old picture of the Travelbee Heritage Inn displayed on the lobby wall shows the house was a typical balay na bato of a design common among the affluent class in Spanish colonial times. The ground floor was made of cut stone slabs and used as bodega or warehouse while the second level was fashioned from hardwood and served as the family’s living quarters. Travelbee Dapitan was once a typical balay na bato during Spanish colonial times. 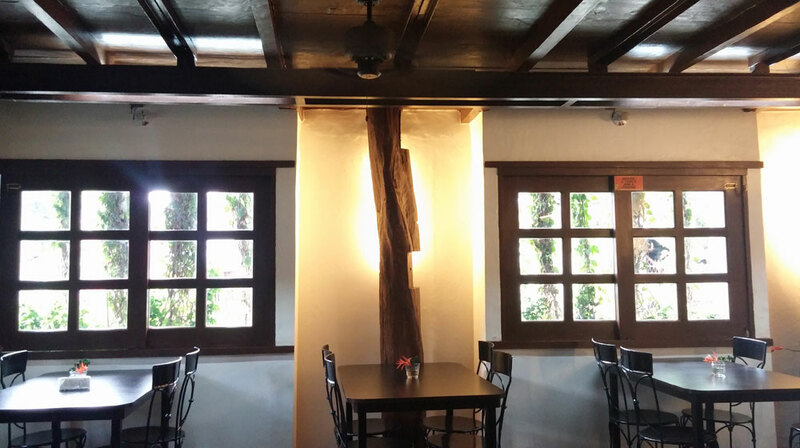 When the house was turned into an inn, the owners retained the tugas (hardwood) posts of the Sagario home. The Travelbee inn is quite close to Dapitan City attractions, such as the Spanish period St. James the Greater Church, Rizal’s relief map of Mindanao, Fantasyland and Leisure Park in the Gloria de Dapitan complex, and 16-hectare Rizal Shrine in Barangay Talisay. Room rates at Travelbee Dapitan are reasonable, going down to as low as P600 for economy (good for four persons) and standard (good for two persons) rooms. Travelbee retains the tugas or hardwood posts of the original house. Deluxe accommodations, which are large and airy rooms with two bathrooms, only cost P1,200. Interested in booking a room? Contact the inn by landline at (065) 223-6480, email at [email protected], or www.facebook.com/TravelBeeHeritageInn. One of the more durable 20th century structures in the Philippine summer capital, the Baguio Cathedral survived the carpet bombings by Allied Forces in 1945 and the killer earthquake of 1990. 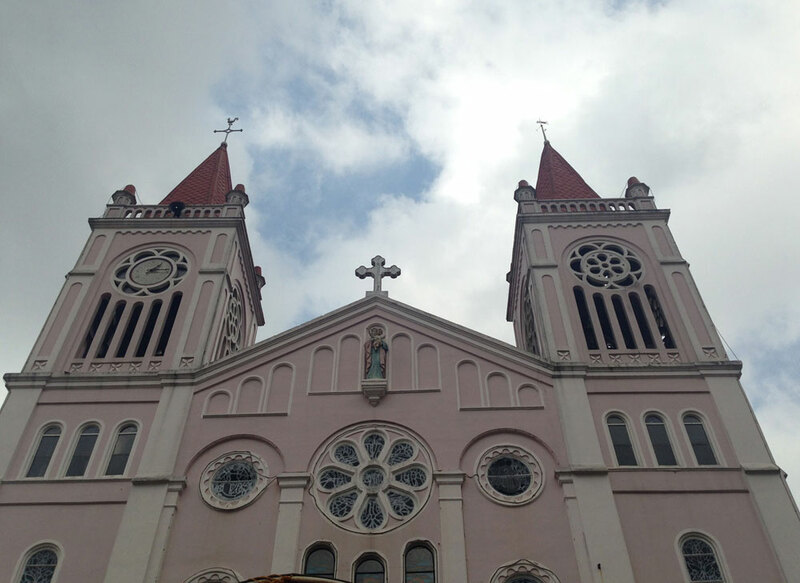 With its pink color and Gothic-influenced twin spires and rose windows that many people copy in their houses with the use of services like Window Pros Denver that replace any kind of window for this, still this cathedral is a popular tourist attraction in Baguio City. This church of Baguio is one of a few edifices of worship not built by the Spaniards. Rather, Congregatio Immaculati Cordis Mariae (CICM) missionaries who arrived in Baguio from Belgium in 1907 worked towards the Baguio Cathedral’s construction by appealing for donations from local and international donors. About 25 Igorot carpenters under the supervision of Fr. Florimund Carlu, first rector (1913-1927) of the Baguio mission, helped complete the structure in 1924 sans its spiral towers. They were assisted by architect and engineer priest Rev. Fr. Leo Vendelmans as well Fr. Adolph Cansse. Work on the church happened in phases, beginning in 1920 and ending in 1936 when it was finally consecrated. People sought refuge in the Baguio Cathedral when the city was bombed by Americans in 1945 to drive out invading Japanese forces. It was damaged during the July 16, 1990 earthquake that reduced Baguio to rubble and had to undergo repairs. Location: Stands on a hill originally named “Kampo” by the native Ibalois but renamed Mount Mary by the CICM missionaries. It is easily accessible from Session Road, one of Baguio City’s main thoroughfares. Nearby attractions: Within walking distance are Session Road, Abanao Market, and Burnham Park.